Place beer mug in freezer. In small bowl, mix lime juice and sauces. Remove mug from freezer. Rub rim of mug with lime wedge; dip rim into salt. Pour lime juice mixture into mug; add ale. Add ice. Serve immediately. Increase the level of spiciness by adding more hot sauce. Serve with your favorite appetizer. 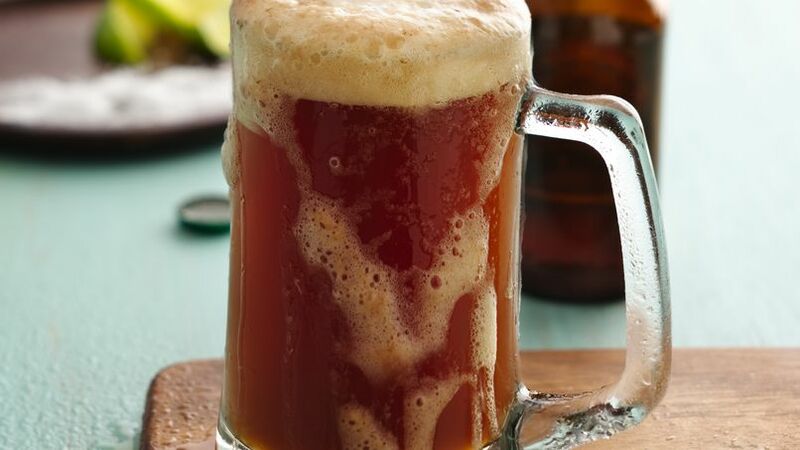 Five minutes and two steps is all you need to make this refreshing Michelada - a perfect Mexican-style drink.